Universal - Por doctores y colaboradores en zonas de guerra: Por los médicos y el personal humanitario presente en zonas de guerra, que arriesgan su propia vida para salvar la de los otros. Universal - Doctors and their Collaborators in War Zones: For doctors and their humanitarian collaborators in war zones, who risk their lives to save the lives of others. Those of you that would like to donate Easter Lilies in memorial to you loved ones, please bring them on Palm Sunday to the back of the church. 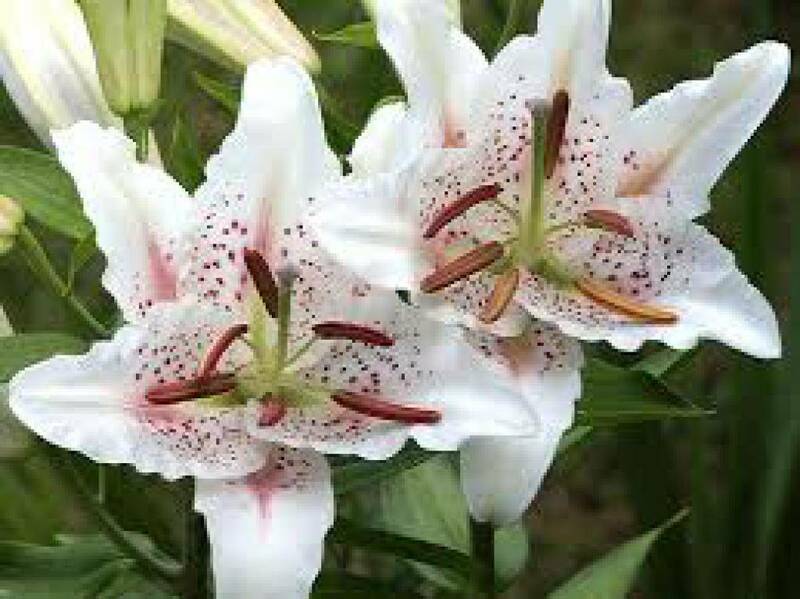 Please write the name of your loved one on the lily and they will be included in our prayers. 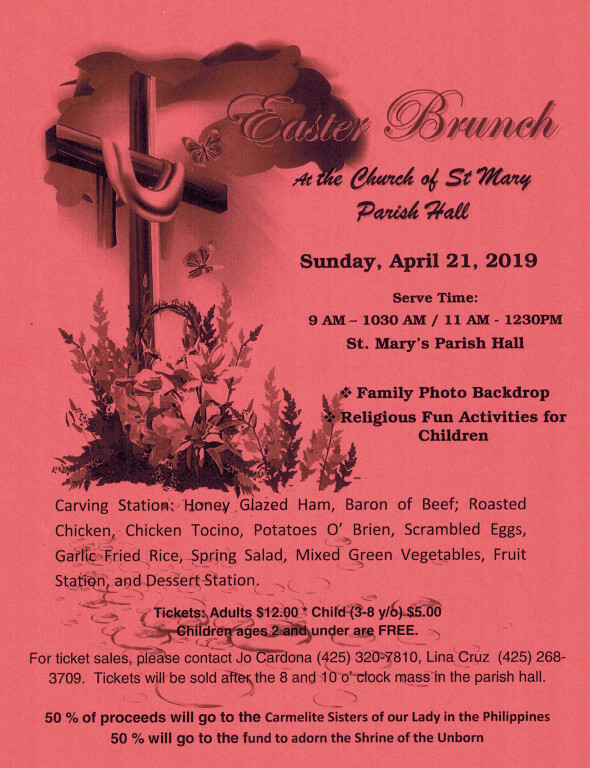 Tickets for the Easter brunch, are being sold after Mass. Ya se están vendiendo boletos para el desayuno-almuezo de pascua, y tambien para pescado y papitas. Los boletos se venderán antes de Misa de 12pm. 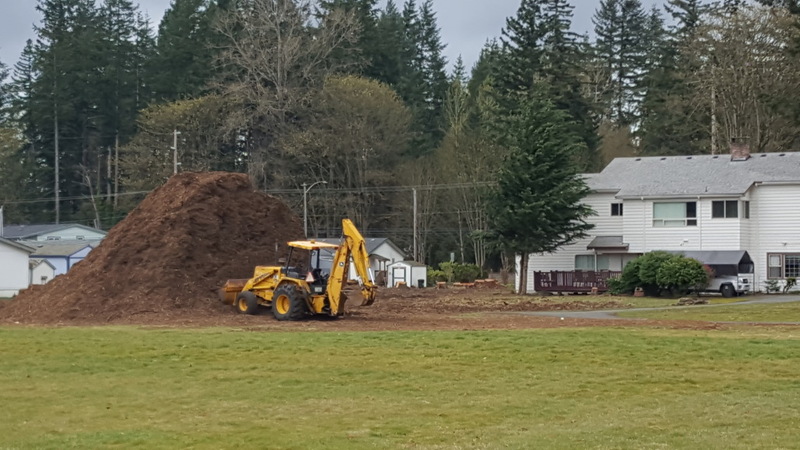 The mulch in the back of the St. Mary Property is free. If you’d like some, please bring your own haul. El pajote que esta atras de la propiedad de Santa maria es gratis. Se quiere lleverse cualquier cantidad, traiga su propio medio de transportarlo. Get yours early as there is only a limited supply. Disponible el sábado y el domingo 13 y 14 de abril a las puertas de la Iglesia o en una canasta en la parte posterior de la Iglesia. Obtenga el suyo temprano, ya que solo hay un suministro limitado. All graduating Seniors, of St. Mary, may apply. Applications for the Knights of Columbus 2019 scholarship are available in the Parish office or may be obtained by calling 360-659-3366. Los Caballeros de Colon están aceptando aplicaciones para la BECA del año 2019.
la preparatoria este año, podrán aplicar. Sign up to “St. Mary Youth Program” for meeting reminders or last minute class cancelation. Also take advantage of the “Word on Fire” videos, purchased for you! Subscribe to “English St. Mary” & any other program updates. After Subscribing ꜛ : Register, Confirm your email, make a password. If you need help, we can help you at the office! 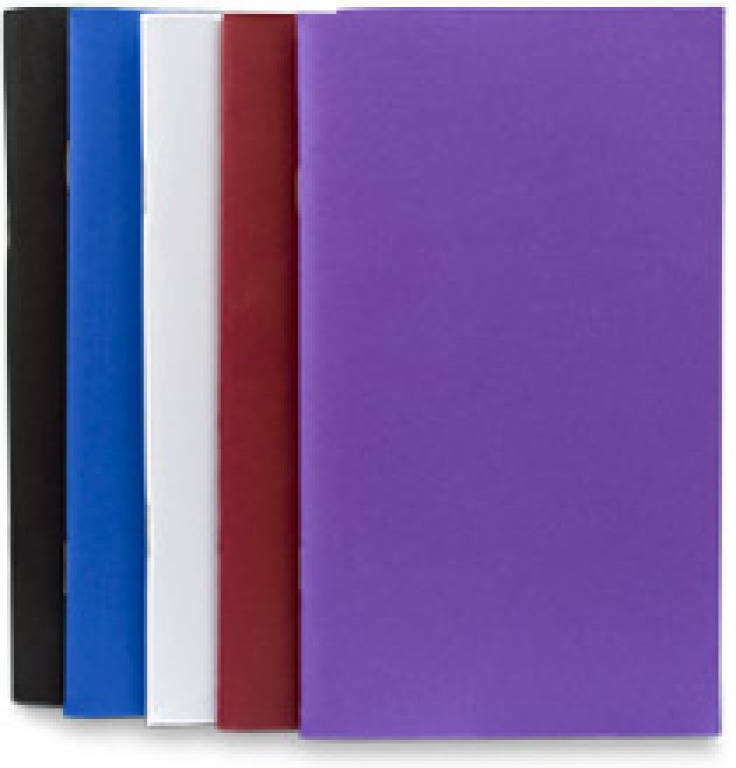 In an effort to continue to improve our parish stewardship of your donations, we've cut back on the number of donation envelopes we are sending. Families that have not used the envelopes to make their donations for more than two years or have converted to online giving have been removed from our mailing. This will save the parish nearly $300 per month. If you would like to add or remove yourself from our mailing list, please stop by the office or send an e-mail to gloria@stmary-stanne.org. To set up online giving, please stop by the office, go online, or contact Daniel at books@stmary-stanne.org. Are you struggling in your marriage, or do you know someone who is? Are you disillusioned and/or frustrated? Do you struggle with trust or forgiveness? Support your parish while you buy online. It's very easy: Start by clicking HERE! Es bien facil: Comienza presionando AQUI! Gracias por tu apoyo y mayordomia!